It was business as usual for Seattle school buses during the first week of the viaduct closure. This school year, for some parents, usual has come to mean, well, late. There were several delayed routes in the mornings and afternoons, some slowed down by two hours. The number of late buses swung wildly from day to day — ranging from seven to 18. Drivers called in sick, taking away more people from an already scarce pool of employees — and adding an element of unpredictability. And the constant rumble of frustrated parents and families who have waited for a resolution since the start of the school year continued accordingly. “I’m just gonna presume it’s late forever. The daily uncertainty is too hard,” said Jennifer Scheuerell, whose daughter takes the bus from Ballard to Adams Elementary School. That route has been late every afternoon for the past few months, she said. (The morning route is usually on time). Though many have seen their school bus-service improve since September, others like Scheuerell have their schedules dictated by the automatic phone calls they receive from the district when the bus is late. By December, the delays became so severe that at a teacher’s request, Scheuerell, who has her own consulting business, and her husband, who is a furloughed federal employee, have opted to pick their daughter Paxton up every day. 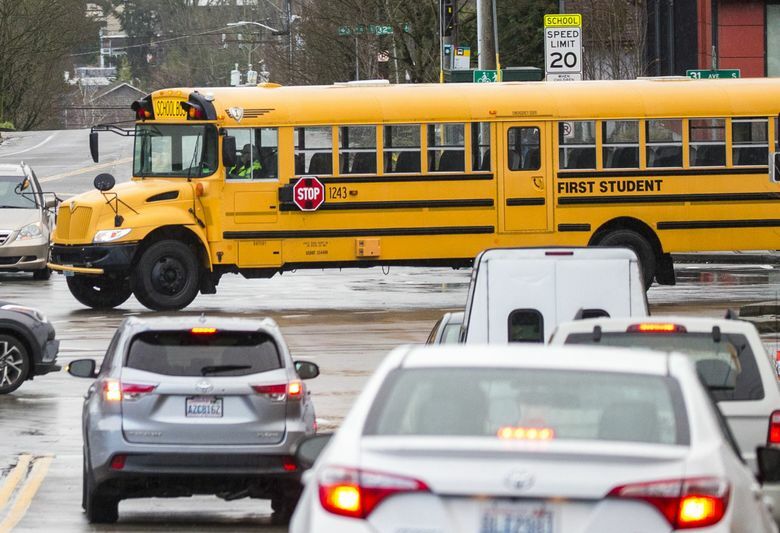 Though Seattle Public Schools has taken steps to minimize the impact of the viaduct closure and a driver shortage that its main school-bus contractor has faced since fall, the punctuality of many routes is still at the mercy of how many drivers show up that day.